What can we do to save our oceans and seas? Oceans provide food for many humans! Newest studies show that Earth's oceans are storing 90% of the excess energy coming from the rapid rise of greenhouse gases. 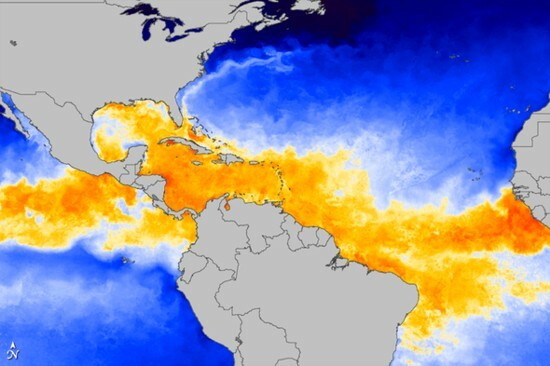 Warmer Earth's oceans will cause a shift in the Earth's climate. Dry areas will be moved, areas with abundant rainfall will change position. Earth's agriculture production is forced to adapt. Some countries will not be able to produce enough food for their citizens anymore, resulting in riots and famine. 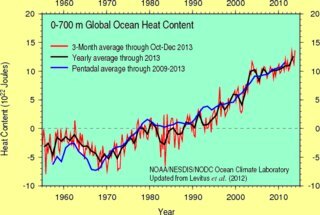 Warmer water expands, gets more volume. 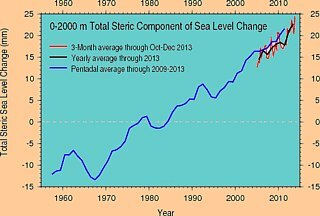 Our research and calculation have shown that a rise of 7 feet in our ocean levels quite likely. Our calculations are based on a warming of 2 F.
A) The Greenland ice sheet will shrink by half and the Ant-Arctic ice by one third. B) Water expands = more volume when it gets warmer! Estimates start with 28 trillion US-Dollars, going up to 280 trillion. Coast towns all over Earth will be affected, the cost for rebuilding harbors to fit to the higher sea level will be enormous. Ocean Pollution is affecting all oceans and the rest of the Earth. Pollution in the ocean directly affects ocean organisms and indirectly affects human health and resources. Oil spills, toxic wastes, and dumping of other harmful materials are all major sources of pollution in the ocean. Better Information is needed because if people know more about pollution in the ocean, then humans are able to reduce pollution. Toxic wastes are poisonous materials that humans dump into the ocean. They harm many plants and animals in the ocean and have a huge impact on our health. Toxic waste is the most harmful form of pollution to sea life and humans. When toxic waste harms an organism, it can quickly be passed along the food chain and appears on the plate of the main predator on Earth: Humans. In the food chain, one toxic organism gets eaten by another, larger animal, which gets eaten by another animal, and can end up being our seafood. Toxic waste gets into seas and oceans by the leaking of landfills, dumps, mines, and farms. 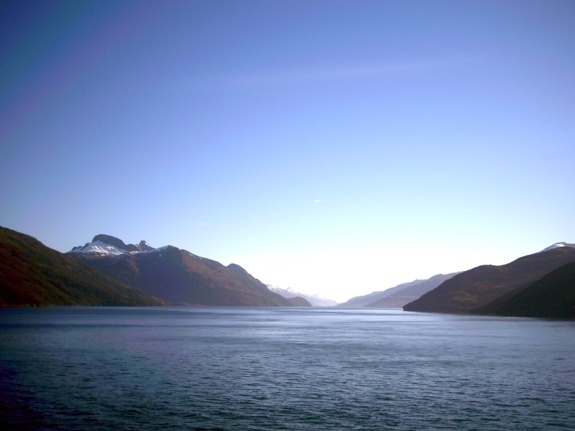 Farm chemicals and heavy metals from factories harm marine life and humans. Fishermen know that the toxic chemicals in the ocean are killing much of the fish population. One of the most harmful chemicals in the ocean is lead. Lead causes many health problems -it damages the brain, kidneys, and reproductive system. Lead also causes birth defects. It has been shown to cause low IQ scores, slow growth, and hearing problems for small children. When ocean water is contaminated seafood can be dangerous to human health. The effect on humans from seafood contamination may include birth defects and nervous system damage. Waste has been known to cause viral and bacterial diseases. This type of pollution can be stopped by watching what pollution we are letting into the ocean. 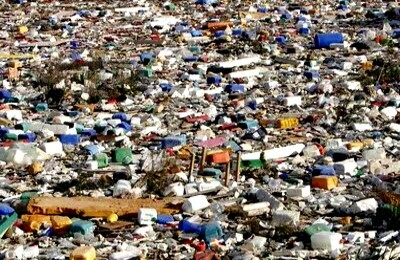 People can decrease the amount of waste in the oceans by recycling instead of filling landfills. Plastic in the oceans kills millions of living beings. contaminated with various pesticide, lead, mercury residues. 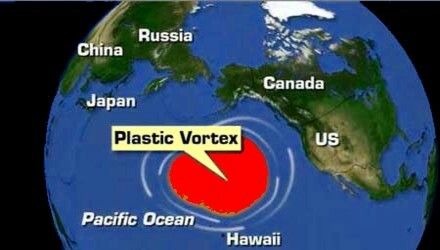 the gulf stream transports oil to this area. 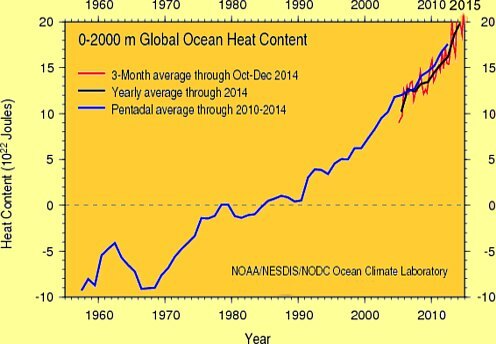 High carbon dioxide levels are one threat to our oceans and seas. Our oceans take a big amount of CO2 out of the air - all the sequestered CO2 has been kept from contributing to global warming. Now it's beginning to cause more problems than it's solving, increasing the acidity of the water by 30 percent. And that acidity is starting to dissolve seashells as the California coast, meaning tragic consequences for many organisms - and the millions more who count on sea life for food, including us. The world's sea-grass meadows, a critical habitat for marine life and profit-maker for the fishing industry, are in decline due to coastal development and the losses are accelerating, according to a new study. Billed as the first comprehensive global assessment of sea-grass losses, the study found 58 percent of sea-grass meadows are declining and the rate of annual loss has accelerated from about 1 percent per year before 1940 to 7 percent per year since 1990. 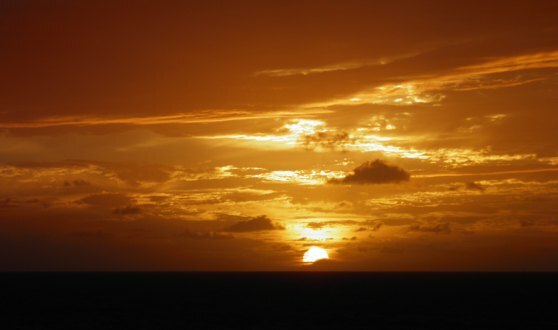 Published this week in the Proceedings of the National Academy of Sciences, the study, based on more than 200 surveys and 1,800 observations dating back to 1879, found that sea-grasses are disappearing at rates similar to coral reefs and tropical rain-forests. Sea-grasses live in shallow areas protected from large storm waves, and they are especially prevalent in bays and around river mouths. dumped into the sea, helps stabilize ocean-bottom sediments in coastal areas to reduce erosion, provide nurseries for fish and shellfish and feeding grounds for larger marine creatures, including those that live in coral reefs. But too much waste is dumped and sea grasses become damaged by polluted water from coastal development, decreasing water clarity, and by dredging and filling of meadows. Global climate change is predicted to have deleterious effects on sea-grasses. Many scientists believe greenhouse gases are causing Earth to warm, leading to a host of environmental effects including warming and rising oceans. Seagrass meadows are important food fisheries and host game-fish like tarpon, permit and bonefish. 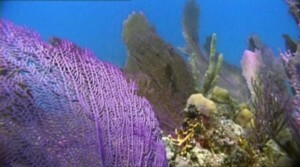 Seagrass beds are economically and ecologically important as tropical forests or coral reefs are. It will cost us billions when our sea-grasses die. About 30% of known seagrass meadows have disappeared since 1879. Globally, we lose a seagrass meadow the size of a soccer field every thirty minutes. Close to half of Earth's population lives close to oceans and seas depending on work / income and sea food. In the early 20th century, heavy sea-grass losses were noted in North America and Europe, where the industrial revolution led to rapid coastal development. Today, population growth in the regions bordering the Pacific and Indian Oceans are leading to the heaviest losses of sea-grass. When in Florida, where treated sewage water is often dumped in the ocean, water managers changed their method of treating waste-water, failing sea-grasses rebounded partly. Learn to understand = have a better life!